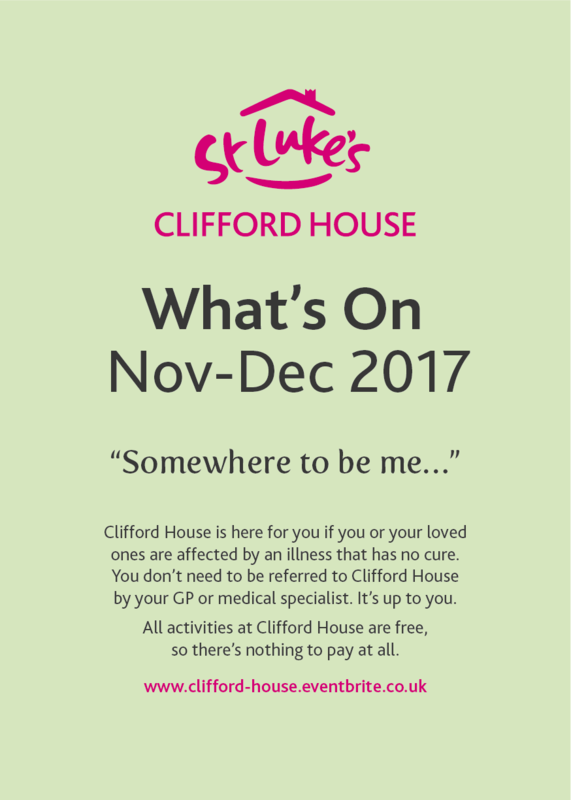 Our What's On guide for November - December 2017 is now available. Download a copy here (print it out, stick it on your fridge, or keep it in your diary!) 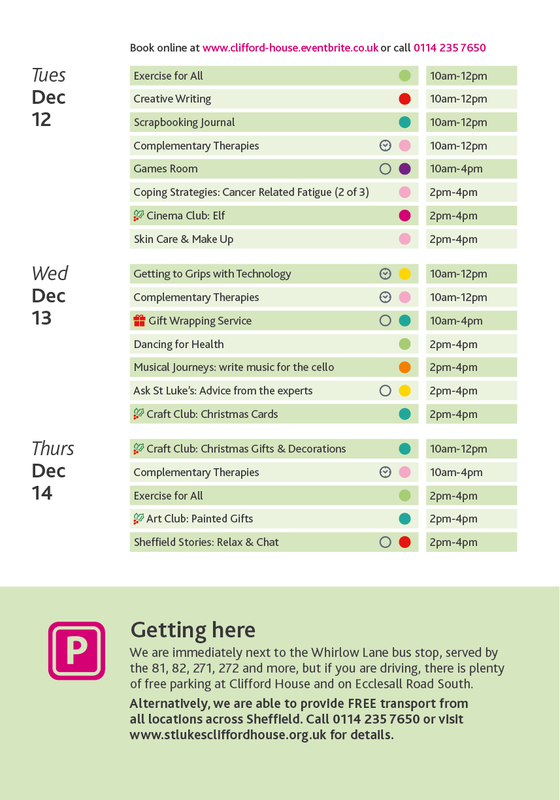 or click on the images below to see large versions of the timetable. 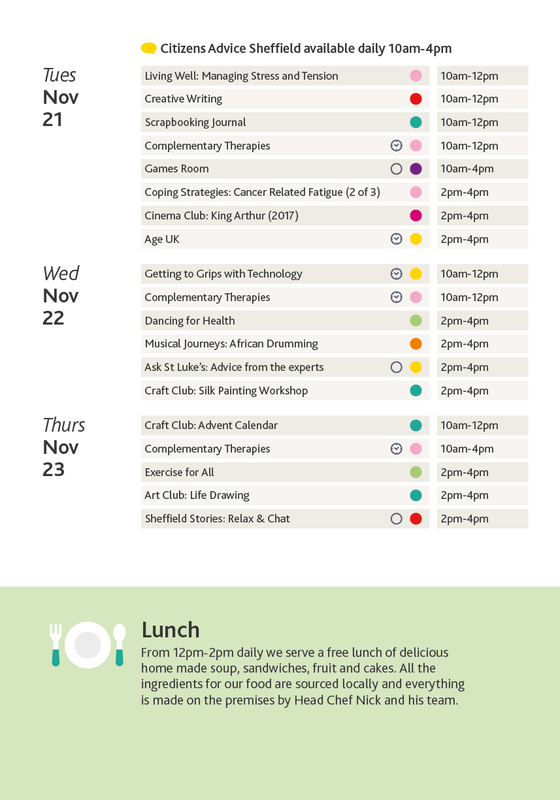 We're continuing many of our activities from September and October, including your favourites such as Cinema Club, Dancing for Health, Life Drawing and Creative Writing. Our Complementary Therapies have proved especially popular, so we are now offering these sessions every day. You can now book a half hour slot from 10am-12pm on Wednesdays, Tuesdays and Thursdays, and from 2pm-4pm on Thursday afternoons. 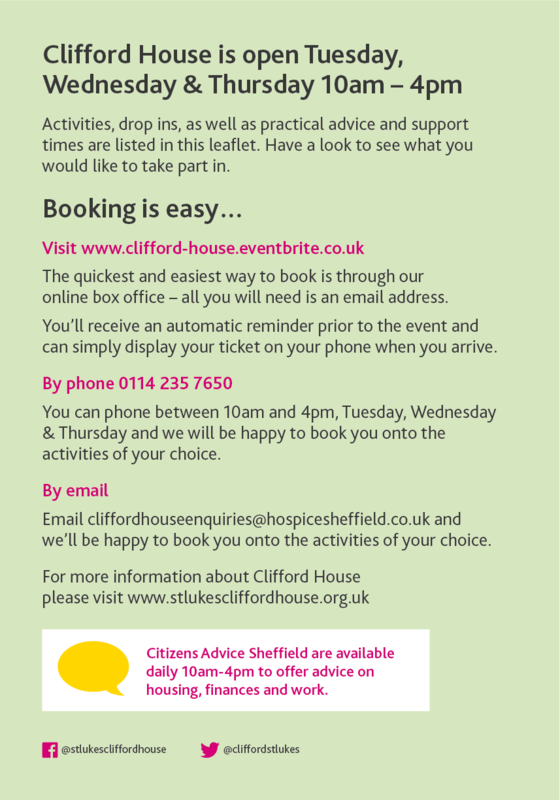 Book online or call 0114 235 7650 to speak to a member of staff. On Wednesdays throughout December we are offering a gift wrapping service; bring your gifts and we will wrap them for you. We've also put on a festive program of feel good films, crafts and games to get you in the Christmas spirit. There's something for everyone - whether you fancy shedding a tear to 'It's a Wonderful Life,' making personalised Christmas cards to send to your family and friends, or joining in with a Christmas sing a long. Mince pies are on the house!